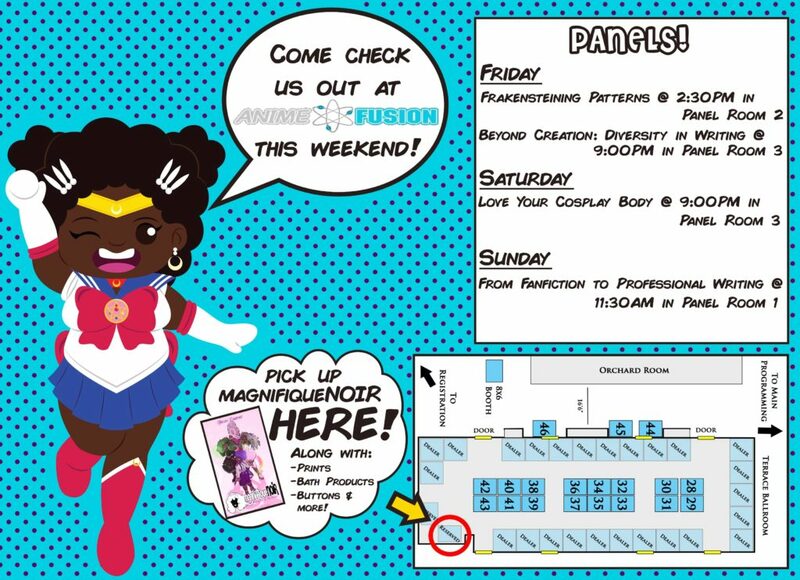 If you’re in Minneapolis, you should come check us out! Also, keep an eye on the Reviews section as people are sharing their thoughts on the magical revolution! Don’t forget to pick up your own copy HERE! 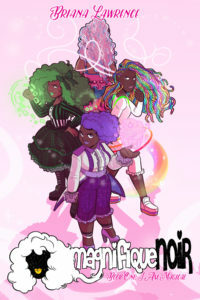 This time last year I was launching the Kickstarter for this little idea I had about a group of black, queer, magical girls. While the Kickstarter didn’t end up panning out, I told myself that I wouldn’t give up on the idea and that I’d finish the story and release it someday. “magnifiqueNOIR” is here and I am so thrilled to be presenting it to everyone! If you’ve already preordered the book through the Indiegogo or our Etsy shop, you will be receiving it very soon! I got confirmation from UPS that the 15 boxes (yes, 15!) will be at my house this Friday! After that, I’ll be autographing all of them and then giving my post office a nightmare (just kidding, we already talked to them and came up with a plan). If you haven’t ordered the book yet, now is your chance! Not just the physical copy, but the eBook as well! So here’s Bri’s somewhat comprehensive list of ways to have a little bit of black girl magic in your home, on your Kindle, and more important: in your hearts (boo Bri that was cheesy). The super special awesomely autographed copy! Follow the link here to get a physical copy of the book autographed by yours truly! We have a limited amount of numbers before we order batch #2 of the book in time for fall season conventions! The amazing Amazon physical copy! While it doesn’t come with my autograph, it is discounted for a limited time, and hey, free shipping through Prime is always nice! The magically fantastic eBook copy! Because who doesn’t want their electronic reading device to come packed with black girl magic? Conventions! I’ll have a list of them up soon, but this Saturday, I’ll be at MSP Fall ComiCon at the Minnesota State Fairgrounds, so if you’re local, you can come and get a copy of the book from me in person! Now comes the next part: promotion. If you are absolutely in love with the book, talk about it online! Use the hashtag #magnifiqueNOIR to share your love for these girls. Take pictures of your book/eBook, share this post everywhere, and definitely, most definitely, definitely definitely definitely LEAVE A REVIEW when you’re done reading! Let’s show the world that black girls with magical powers are spectacular! Just a fun update to celebrate the fall season 🙂 (and yes, this will be a coloring page later) Also, you should go check out the WALLPAPER section, as it’s been updated with new backgrounds you can download! Take care, and don’t forget, you are magical!